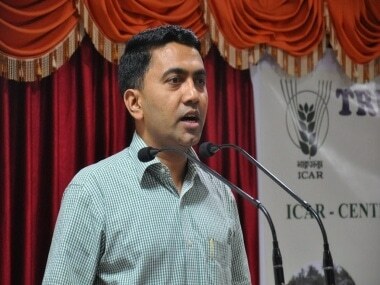 As political uncertainty loomed over Goa following the demise Chief Minister Manohar Parrikar on Sunday, several media reports said that Goa Assembly Speaker Pramod Sawant is likely to be the next chief minister as the BJP managed to reach a consensus with its allies on Monday. 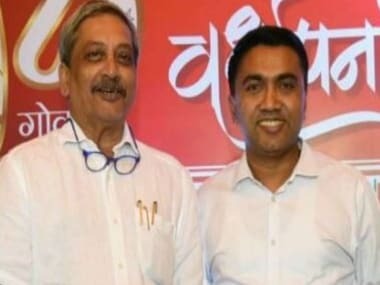 Goa is likely to have two deputy chief ministers — Maharashtrawadi Gomantak Party (MGP) MLA Sudin Dhavalikar and GFP chief Vijai Sardesai — as part of the deal, CNN-News18 and India Today reported. According to CNN-News18, the swearing-in ceremonies for the next Goa chief minister and deputy chief ministers will take place on Monday night. Earlier today, after several rounds of discussion over the appointment of the next Goa chief minister, two names — Pramod Sawant and Vinay Tendulkar — had emerged as the top choices, as suggested by several media reports. However, the reports failed to mention whether the allies reached a consensus. The BJP has made no official confirmation on the new Goa chief minister as of yet. Meanwhile, Sawant, who is currently the Speaker at the Goa Assembly, is being dubbed as the frontrunner for the post. The Wikipedia page of Pramod Sawant has already been edited, calling him the Goa chief minister. "The Chief Minister who succeeded ex-CM Manohar Parikkar, Dr Pramod Sawant was born on 24 April, 1973 to Pandurang and Padmini Sawant," the page read. Earlier, Union minister and senior BJP leader Nitin Gadkari, who arrived Panaji in the wee hours of Monday, could not secure a consensus between the saffron party and its alliance partners in the state, party MLA Michael Lobo had said. 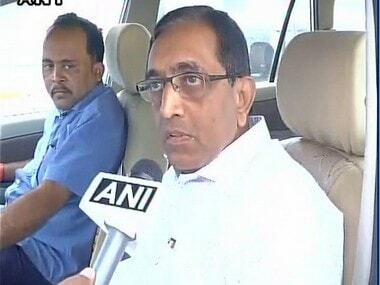 "During a meeting with Nitin Gadkari, Sudin Dhavalikar expressed his willingness to become the Chief Minister of Goa. He said he has sacrificed many times by supporting the BJP, and now, he has put in his demand, but the BJP will not agree to that," Lobo, a BJP MLA and Deputy Speaker of the Goa Assembly, had told reporters. Gadkari had held talks with party leaders and alliance partner Maharashtrawadi Gomantak Party (MGP) to select a new Goa chief minister at a hotel near Panaji in the morning. BJP MLA Vishwajit Rane, MGP leader Sudin Dhavalikar, who are aspirants for the chief minister's post, attended the meeting. However, Sawant was not present at the meeting. The leaders of another alliance partner of the coalition government, the Goa Forward Party (GFP) were not called for the meeting. With the Congress-led Opposition staking claim to form a government on Saturday, BJP's decision to reach a consensus assumes great significance. On Sunday, the Goa Congress wrote again to Governor Mridula Sinha, calling for the dismissal of the government. According to Times of India, leader of Opposition Chandrakant Kavlekar said that the BJP was left with no allies now as coalition partners had tied-up with the saffron party on the condition that Parrikar heads the government. "Congress being the single largest party, it is submitted that the leader of the Congress legislative party is invited to form the next government," Kavlekar said. Currently, Congress is the single largest party in the state with 14 MLAs. The BJP has 12 legislators in the 40-member Goa Assembly. The GFP, MGP and Independents have three MLAs each while the NCP has one legislator.